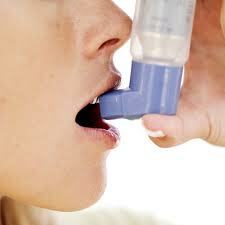 Home » vocal cord » Vocal Cord Botox Injections to Treat Asthma??? Vocal Cord Botox Injections to Treat Asthma??? A clinical trial is under way in Australia to see if botox injections to the vocal cords can improve the shortness of breath some asthmatics have. Though nobody disputes that asthma is a pulmonary problem, it is not uncommon that the vocal cords in asthmatics may be dysfunctional exacerbating the breathing problem. What is meant by dysfunctional? It's when the vocal cords come together when the person is trying to breath. It is also known as paradoxical vocal cord motion, vocal cord dysfunction, or laryngospasm at its worst. Read more here. Botox injections will paralyze the vocal cord muscles preventing the vocal cords from coming together thereby allowing easier airflow into the lungs... or at least that's the hope. This procedure is commonly performed in patients suffering from spasmodic dysphonia and the technique used to treat these patients would be the same as that proposed for asthmatics. Watch a video here on how this is performed. What's the downside? Aspiration, breathy voice, and trouble swallowing are common but temporary side effects. Problem is if aspiration occurs in a patient with significant pulmonary compromise, it can potentially be devastating leading to asthma exacerbation and even pneumonia. Read a news article regarding this clinical trial here. vocal cord botox injections to treat asthma? wow!!! That's great news! what an interesting video on how this procedure is performed! I really enjoyed it! It seems that this botox treatment has a lot of advantages nowadays. It can treat wrinkles, migraines and many other issues. This blog is nice and amazing. I love your post! It's also nice to see someone who does a lot of research and has a great knack for ting, which is pretty rare from bloggers these days. perhaps before starting the treatment for botox injections one should contact with a doctor for a safe procedure. love your blog for that much of research about botox injections thanks for the great blog .